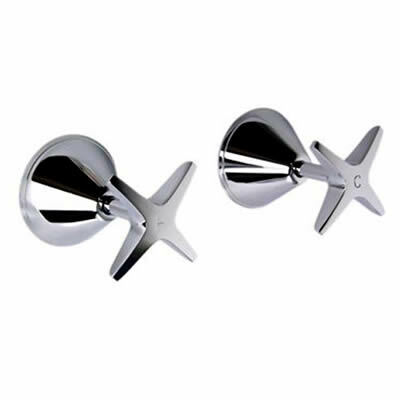 Make a bold style statement in your shower with the Star Wall Top Assembly Pair. Available in a trendy and ergonomic star shaped design, this popular pair of wall top assemblies will make everybody’s head turn! The ergonomic design of the wall top assemblies certainly makes them easy to use. 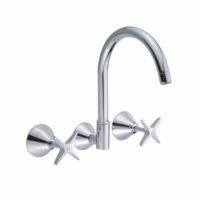 Moreover, the lever handles are solid and easy to grip. The Star Wall Top Assemblies Pair comes in a durable and elegant chrome finish. Not only does do they look great, but they also feel great – and the body is just as impressive. It features solid brass construction, which makes them incredibly durable. This wall top assembly pair features splendid workmanship and makes use of quality internal parts. They have been designed to offer many years of service, even with rigorous usage. For this reason, the body, internals and even the external finish are covered by impressive manufacturer guarantees. And, installation is a breeze as they have been designed for easy and simple installation. So, don’t waste another second. 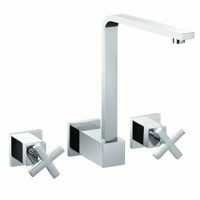 Purchase the Star Wall Top Assemblies Pair and give your bathroom a modern look, for less. 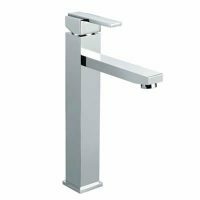 Buy this popular bathroom tapware only from Ross’s Discount Home Centre!